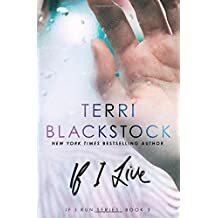 For those of you who don't know who Terri Blackstock is she's one of those authors who started her career in selling her books doing one thing ending up writing suspenseful Christian fiction. She had a spiritual awakening, from what I gathered, some time in 1994 and took her career into God's hands, kept it there and started what a lot of people call "Up-All-Night Fiction" (Terri Blackstock Wikipedia). I came across her books myself when I was looking for suspenseful Christian Fiction to read and this was about three years ago. At any rate, considering we're talking about this series on a whole, as well as individually, I will break this down in three parts as best I can. This book focuses on how Casey Cox runs from the police and evades capture by local law enforcement at every twist and turn. Along the way, Casey befriends a woman who's daughter, or grand daughter goes missing along with her own daughter. Casey finds out where the girl and her daughter are being kept. She breaks in not just once, but twice to save this girl and her daughter's life. Besides this she's running because the truth doesn't matter. Dylan Roberts isn't simply hired to go looking for Casey Cox, he's the friend of the guy who's death instigates the search and apprehension of Casey Cox. Dylan is a war veteran suffering through his own battles with PTSD. Bringing Casey back can redeem him. As he sifts through evidence at the crime scene, which suggests one thing, the details of the supposed murder Casey commits don't add up. She doesn't fit the profile of the killer. The question becomes this: if Dylan's being truly objective then why did Casey Cox run? Running only looks as if she truly did the crime. Her prints are at the crime scene and the murder weapon in her car sure make it looks like she did it. But are things always as they seem? Casey has evaded capture and has fled once more. Dylan claims she eluded him, or is that the case? She is fleeing prosecution for a crime she didn't commit. Dylan Roberts--her pursuer--is still on her trail dogging her stops just as a dog would find and latch on to a stick. His desire is to help her as more details emerge on the murder investigation of her friend's death, Brent Pace. As Casey collects evidence on the real murder she stumbles on another injustice: of an abused child and a suicidal man who's been falsely accused. She risks her life, once again, to right this set of wrongs, as well as keeping her feet one step ahead of her pursuers. In her determination she has no doubt she'll be murdered before she lands in jail. In this third sequel of this series, Casey is on the run--still, even after being indicted for murder. She's running out of places to hide, and the hunt for her is escalating to a fever pitch. With her face all over the news the disguises she comes up with are of little importance. Now attempts are being made not just on Casey's life, but on Dylan's as well. So, who really committed Brent Pace's murder? And will the real fugitive get away? I couldn't even come up with such heart-rending, riveting story-telling as Terri Blackstock has. Throughout each book she write, whether it's the Cape Refuge series, or the If I Run series, the Intervention series, or even Terri's Restoration series. Each book she writes heats up even more with the way she paces out the books she writes. As I put down the last of If I Live earlier, Terri Blackstock has written about fifty books since the mid-1990's. In my mind she is one of the best authors I have ever had the pleasure of reading. 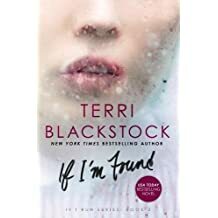 From her standalone books to the series she writes, Terri Blackstock is truly finding her prime in this day and age about Christian suspense fiction. I truly have enjoyed her books and I feel you, the reader, will feel the same when you choose to read her books. Thanks for sticking with me and for getting through the reviews of the book series I gladly call "Keep me up all night, reading suspense." As I said, I have loved reading Terri Blackstock's books for about three years now and can't wait for more from her. I was able to read the books through my local library and all my opinions are my own. I did my best to recall what each book was about without giving much away, if at all, so as to not jade future readers of Terri Blackstock's with my own fondness for her writing. 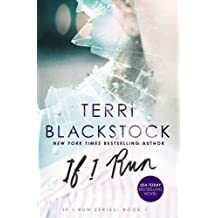 The choice you make about Terri Blackstock's writing comes only because I piqued your interest in her abilities as an author.